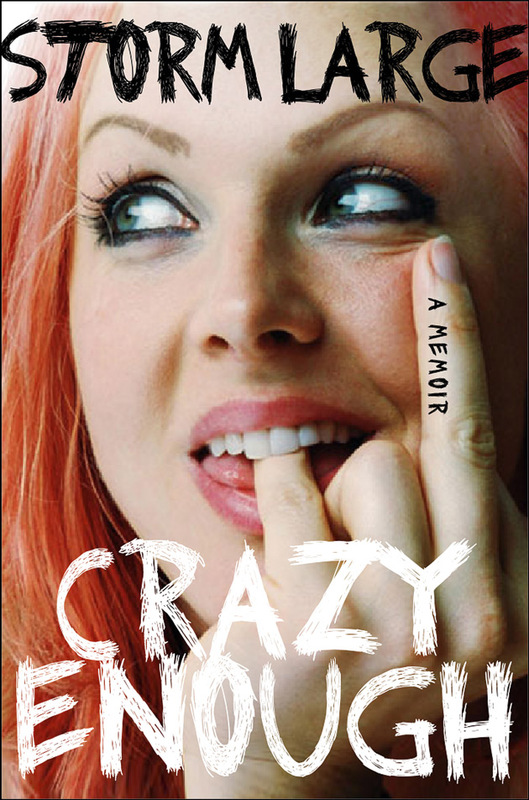 It is of Storm Large's new book, Crazy Enough: A Memoir. I love checking out rock and roll books, and Storm's was a breezy enjoyable romp. She had lots of zinging lines that made you snicker or shake your head and she had the well constructed writing technique of weaving her troubled relationship with her mom into the memoir throughout adding a recurring theme that was engaging. 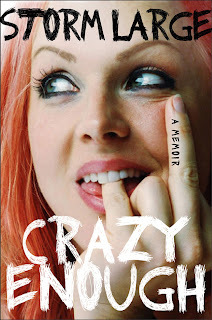 I had never heard of Storm Large before (sorry I skipped Rockstar Supernova) so I went in with a clean slate. She seems like a witty, gregarious woman who has lived a unique life and loves to tell about it with a smile on her face, maybe to mask the pain or show a sense of bewilderment at it all, you can decide for yourself.